Teaching With Love and Laughter: Fun Stations! This was my third week of school. Since it was only a three day week, we spent it building our stamina (first grade made it to 16 minutes and kindergarten made it to 5 minutes) and practicing how we go to stations and what we'll do at the stations. I need to make sure that the children understand completely that they cannot approach me when I have small groups at my teacher table. And, I think they got the message! 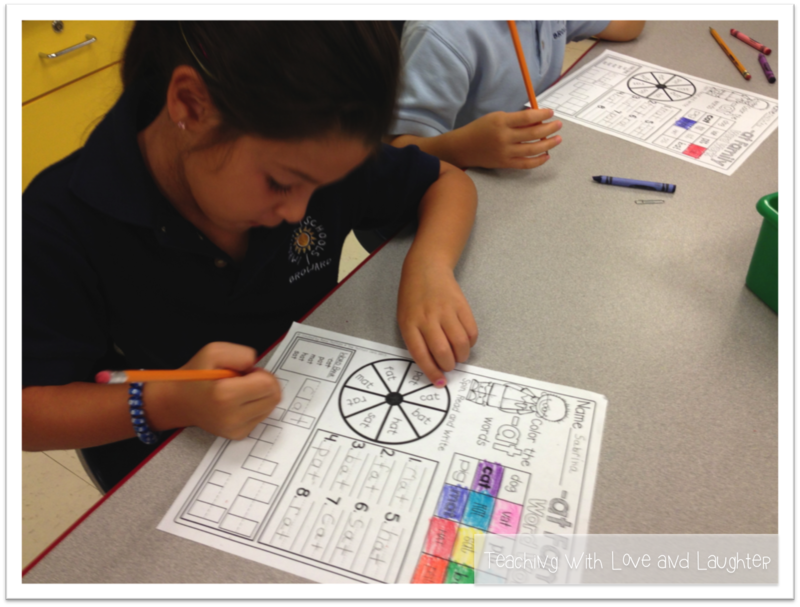 First grade is 100% ready to start stations and small groups next week. Kindergarten, however, needs one more week of practice. 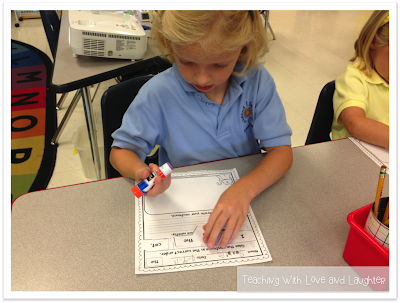 I snapped some pictures of first grade practicing some of the activities they'll be doing at stations. This is Roll, Say, Keep. I made this game using all of the first grade Journeys spelling words, plus, tons of other words that follow the same spelling rule. I love how I won't have to explain what is at my Phonics Station, because the game will always be a choice there, but the words will change each week. 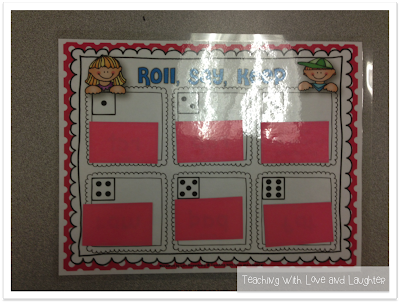 My students played this game for the first time today and they had so much fun. Not only are there word cards, but there are also message cards that made the game even more interesting. Here is the always fun Go Fish! This game is made up of just CVC words with short a. I also have Go Fish games that use the Journeys spelling and HFW for each lesson. 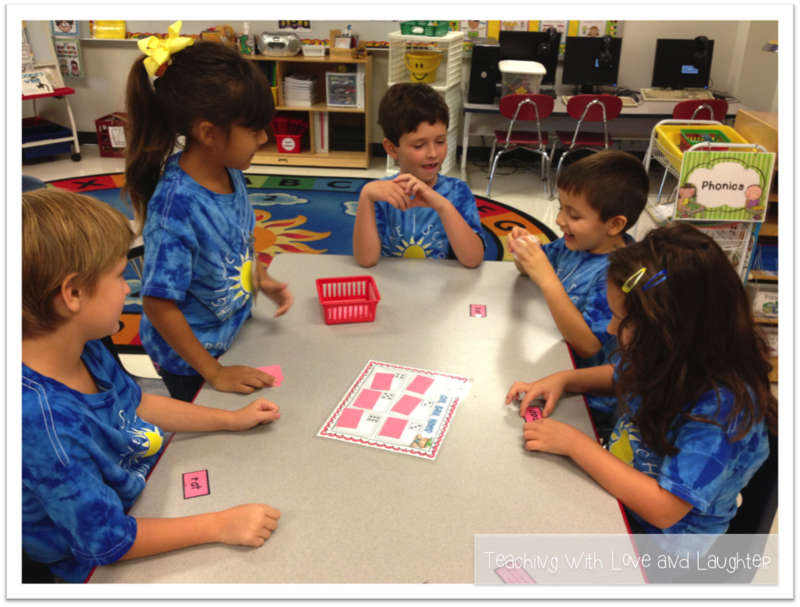 Go Fish will always be an option at my Phonics Station (using the spelling words version) and my Word Work Station (using the HFW version.) Again, I won't need to explain what is at those stations each week. 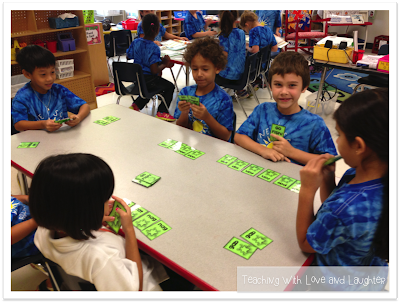 My students are experts at playing Go Fish, because they played with me in kindergarten. 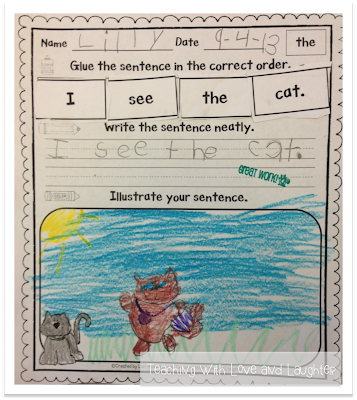 My students will also be using my Fun With Parts of Speech activities, at the Grammar Station, as they learn about nouns, verbs, and adjectives. Next week, they'll sort the different types of nouns. 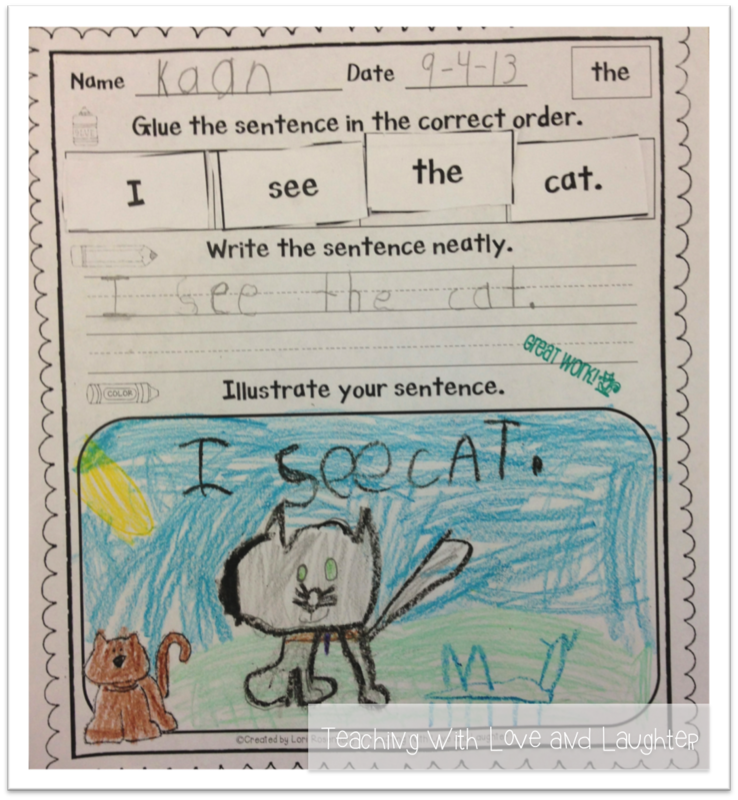 Kindergarten is also learning about nouns. They'll write some nouns that name people and draw pictures to match. Another fun activity we practiced this week is from the incredibly talented Annie Moffat! 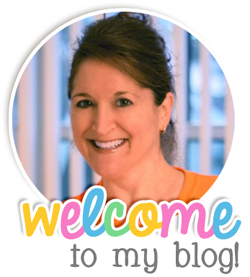 I adore everything she creates and consider her one of my closest blogging buddies. This amazing activity is from her CVC Word Family Word Work pack. 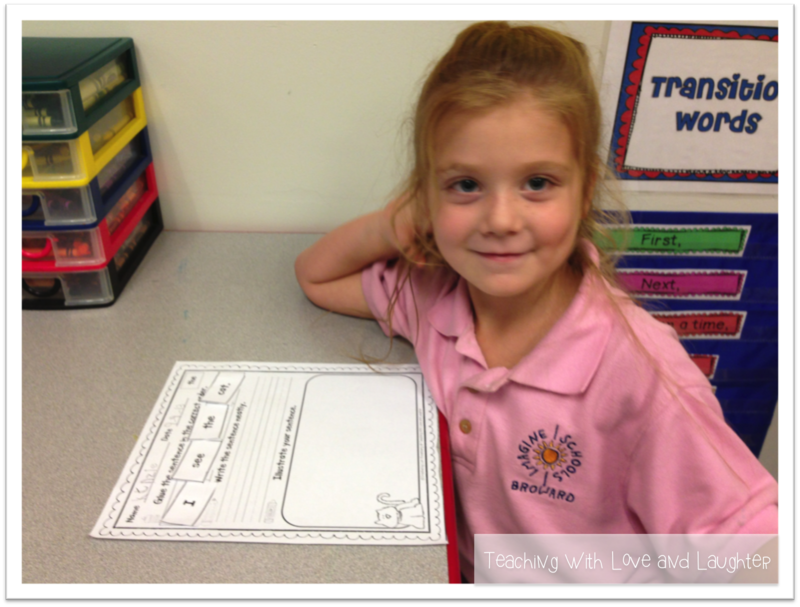 It contains many different word families and this will also be an option at my Phonics Station. 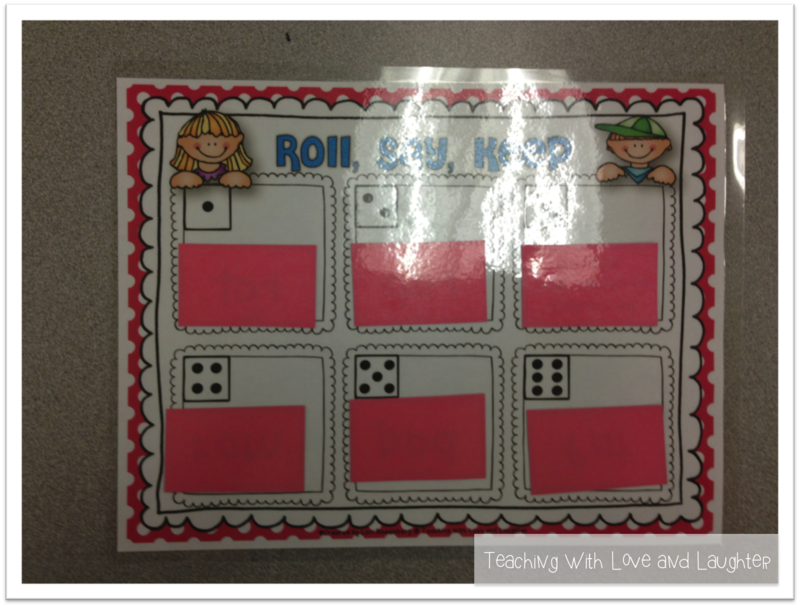 Each sheet has 3 fun activities for the children to complete. They loved all 3! As you can see, I tend to give my students many options at each station. I do this so they will never get bored at the stations, and so they'll always have something challenging to work on and I won't have to hear, "I'm finished! What can I do now?" This is something I do not like to hear. It's right up there with, "my lunchbox is leaking" and "I think I'm going to throw up!" Since my students visit each station twice a week, they can choose different activities during each visit. 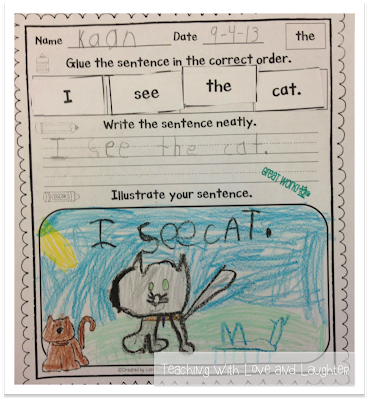 Kindergarten learned how to complete Sentence Puzzles. This one is from my Pre-Primer and Primer pack. Next week, they'll start using the sentence puzzles from my Journeys pack. We did this one together and they really did a great job. 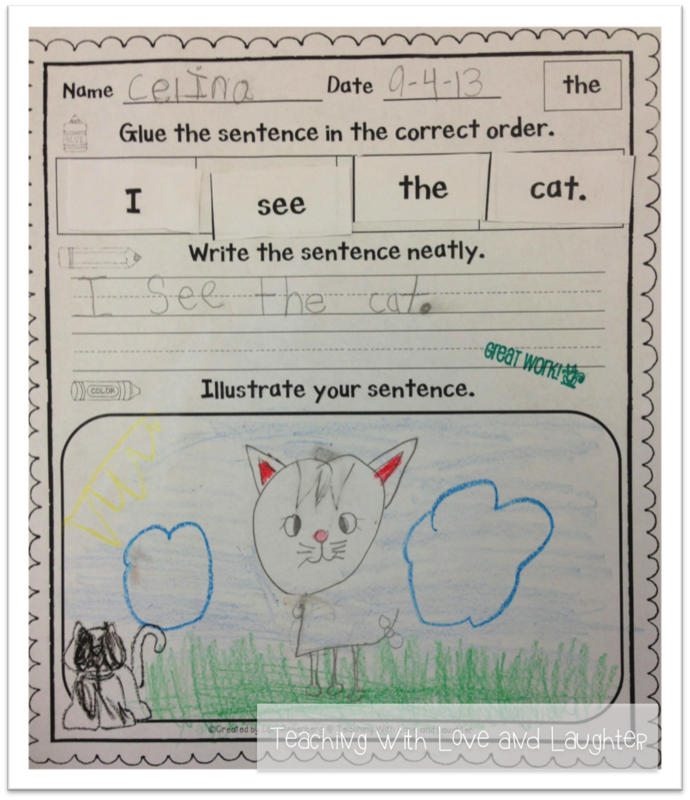 We talked about the difference between words and sentences and how sentences start with a capital letter and end with a period. 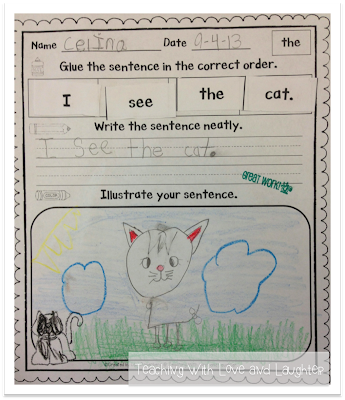 The children tried hard to write the sentence using finger spaces and neat handwriting. We also talked about small and tall letters. I am so excited for next week! I can't wait to begin our new reading series and for "real" school to begin! 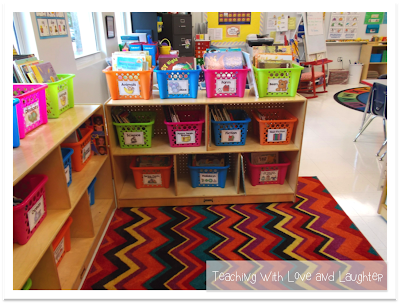 Before I sign off, I just want to remind you all that I am having a giveaway for a FREE classroom carpet. You don't want to miss out on this incredible opportunity to enter to win a carpet worth up to $150.00. Just click on my pretty carpet to enter! Hurry! There's only 1 day left to enter! It is such an honor to even be mentioned on your blog! I adore you to pieces Lori and feel blessed to be called your friend!! Your kids are so blessed to have you, too!! It looks like they had so much fun this week! I'm so impressed by those cat illustrations! You have some very talented artists! How cute are those cats!? Thanks for sharing your great ideas! Fun, no prep, Johnny Appleseed Craft!